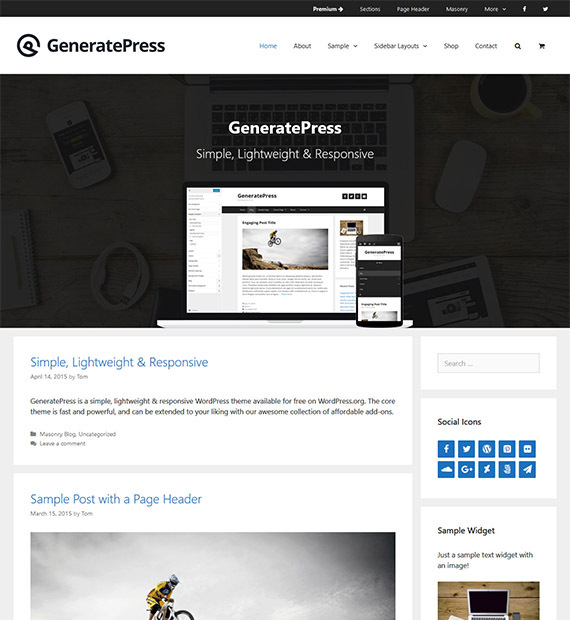 Designed by Tom, GeneratePress is a beautiful and lightweight WordPress theme that is built for best user SEO usability in mind. Being multipurpose, you can use this theme for any type of sites that you wish for and works with even the simplest of page builders. The device friendly and responsive layout of the theme works with the emphasis on WordPress coding standards making it probably one of the best themes out there. Get all the information and support you need from their official website! Integrate with the Google Adsense, to promote and advertise automatically generated text, and media files targeted at the audiences and users on your website.